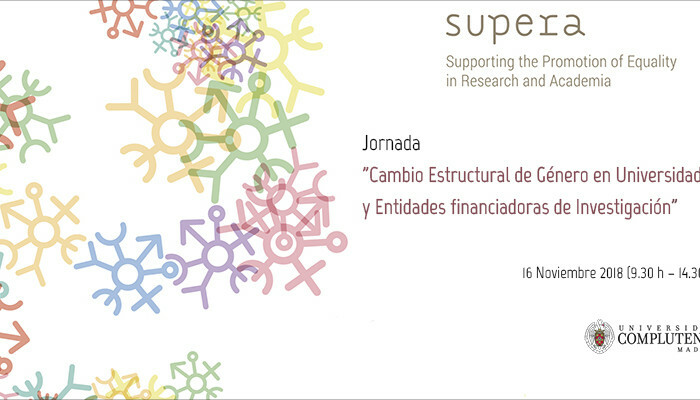 The Conference on “Structural Gender Change at Universities and Research Funding Organisations” will be held on the 16th November 2018 (9.30 h – 14.30 h) in Madrid. The venue is the Ministry of Science, Innovation and Universities, in Paseo de la Castellana, 162. This project has received funding from the European Union's Horizon 2020 research and innovation programme under grant agreement No. 787829. Unless otherwise stated, all materials appearing on this website are published under a CREATIVE COMMONS Attribution ShareAlike CC BY-SA licence.